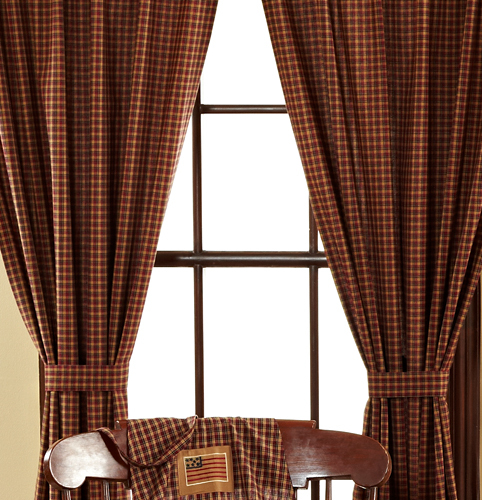 Country charm is displayed in a rustic red, navy blue & cream check print. Set contains two panels with tiebacks. Lined.